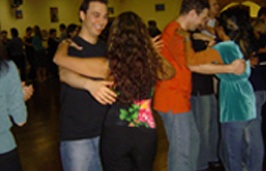 We have now added Bachata to our Street Latin Classes! Singles Welcome! Come with or without a partner. Couples are welcome to stay together each class, or alternatively move on and switch partners throughout the class. Wonderful feedback: We are proud to say that the most common feedback we get is that students feel our studio is a safe and warm place to learn to dance. Our students also often tell us is that our instructors make dancing so easy to learn! Our dedicated and friendly staff are passionate about dancing and are always eager to help students any way they can. This combined with our very high teacher to student ratio of approximately one instructor per 4 – 6 students means that our students always get the attention that their skill level requires to feel confident with their dancing. Our highly qualified instructors have decades of combined dance teaching experience. 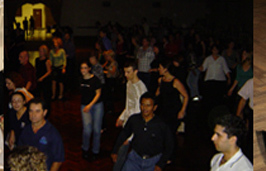 Our 7 week Salsa courses are $150 per person. Private lessons are also available at $95 per hour. Students who attend weekly private lessons can join our social clases free of charge! Private group classes of 5 or more people are available also, and is $25 per person, per class. Private classes can be up to 30 people, the more people in the class, the more instructors we make available for the class. Pay for all of your dance classes now!